Home | News & Events | Latest News | English | Books, Books and more Books! 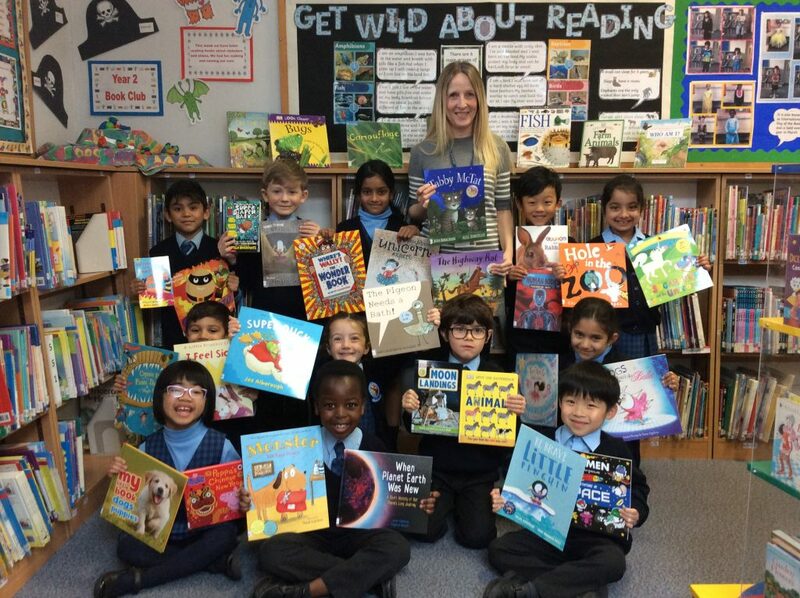 This week Year 1 were given the opportunity to read some new fiction and non-fiction books recently bought from Peters Book Store in the comfort of the Pre-Prep library. Children were able to select a book by choice and share their story or information with a friend. It was wonderful to see the joy and interest Year 1 were getting from these new books. After all the discussions the children helped themselves to a well deserved drink and biscuit. All the new books will be in the library and available to Pre-Prep children when we return after the break. Happy Reading!